Looking to keep your event attendees warm at an upcoming cold weather destination? We're excited to be partnering with Smartwool apparel. Smartwool exists to bring comfort, confidence, and community to a life lived outside. Smartwool believes that time spent outside is valuable, restorative, and essential for everyone. The company started in 1994 making socks simply to be able to ski longer without getting cold feet. They quickly discovered the benefits of using Merino wool as a performance fabric. Merino wool is a natural fiber grown by Merino sheep that's thinner and softer than regular wool. This helps keep feet dry, comfortable, and warm for longer than regular synthetic socks, and helped Smartwool become the first outdoor company to make performance Merino Wool ski socks which revolutionized the category. As a brand that was built on the desire to be comfortable on every outdoor adventure, Smartwool expanded into apparel, base layers, outerwear, and more to help you go farther and experience more. The decision to create performance apparel with Merino wool was easy as it's perfect for every adventure regardless of the season. Besides being incredibly soft and comfortable, Merino wool is moisture-wicking, thermoregulating, sustainable, and odor-neutralizing. Which means it's just as perfect for taking the dog for a walk as it is summiting a mountain. Smartwool works to provide ethically sourced wool by making sure the sheep are treated humanely, the growers are treated fairly, and the farms they partner with work to minimize their impact on the environment. Smartwool also works to use recycled wool fibers whenever possible which is collected, shredded, and re-spun to create an even more sustainable product. Enable adventure in your guests at your next event with Smartwool. Each piece is created with care and high performance materials to keep you going, longer. 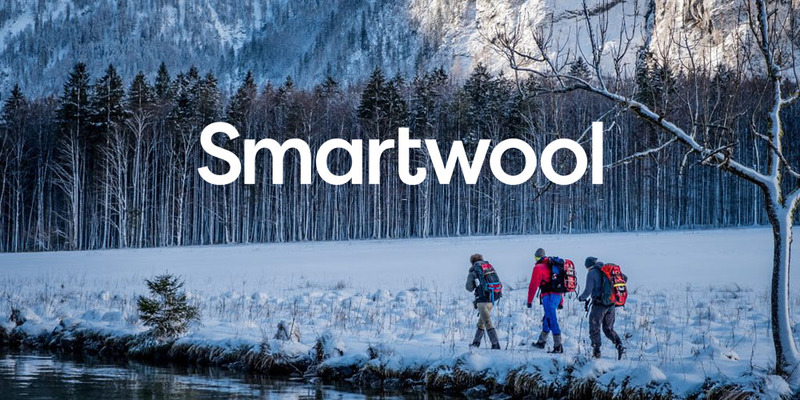 Perfect for those looking to train, live, and laugh in the great outdoors as often as they'd like, Smartwool is just as comfortable as it is efficient. Stay warm with pieces you can feel good about wearing on the trail, in the office, and anywhere else your adventures might take you. Select from a variety of jackets, vests, fleeces, and more on-site in a range of colors for both men and women.